Cinematic Transcendence in "I, Tonya" and "Three Billboards Outside Ebbing, Missouri"
Since it’s Oscar season, everything in Hollywood is abuzz with the sensation of its biggest awards show of the year. I’ve watched a good number of the Oscar nominated films and many of them address some deep, dark, and even transcendent issues that allow us to ponder the human condition in ways never imagined. Because film is an art form, it puts forth transcendent themes in ways words cannot express. It reaches down to the emotions, feelings, and gut-level of life. A few in particular made me ponder the suffering of humanity while seeing the brooding sedition of some characters in particular in Three Billboards Outside Ebbing, Missouri and I, Tonya. Both of these films deal with the often harsh, sinful, and miserable realities of human living but also offer the transcendent themes of grace and redemption. 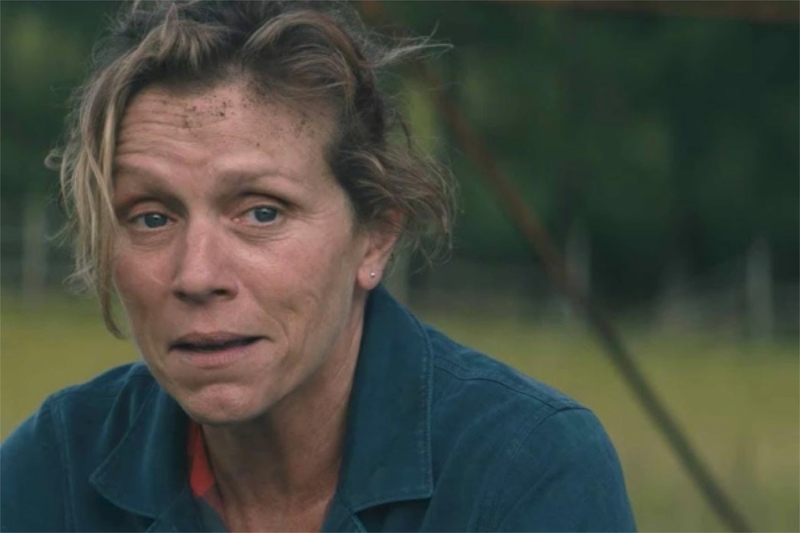 Frances McDormand in Three Billboards plays an inconsolable, distraught mother (Mildred) of a murdered daughter whose case was never solved by the investigative authorities. In desperation, she posts three very poignant and explicit billboards just outside the town calling law enforcement, specifically Chief Willoughby (Woody Harrelson), to task for their apparent lackluster motivation to crack the murder case and catch the culprit. It’s a rough and tumble, sometimes humorous, gloomy narrative about this mother’s overwhelming grief. It is very much akin to Flannery O’Connor’s stories, particularly A Good Man is Hard to Find. In fact, when Mildred enters the advertising agency’s office, the man behind the desk, Red Welby (Caleb Landry Jones), is reading a book by Flannery O’Connor. Director Martin McDonagh situates his story as in a typical O’Connor narrative where grace is revealed through violence, and redemption through harrowing circumstances. Willoughby leaves a letter to the violent deputy Dixon (Sam Rockwell) in which he tells him that he will become a good cop only when he discovers love, another Flannery moment. This becomes the moment of grace for Dixon. I, Tonya also projects the sad reality of violent suffering that can be either a moment of grace or destruction in a person. Based on the true story of ice skating legend, Tonya Harding, this film shows the gritty, harsh reality of her upbringing as a poor, trash-talking blue collar white girl from Oregon whose abusive mother, LaVona Golden (Allison Janney) forces her to ice skate when only four years old. We see Tonya (Margot Robbie) using her sport as a way of escape from her mother but also later from her violent lover and then husband Jeff Gillooly (Sebastian Stan). The sophisticated skating world finds offense at Tonya’s manners but cannot avoid her incredible athleticism, being the first woman to successfully land a triple axel in competition. The entire film feels as though she lives fighting one impossible battle after another—on and off the ice. The well-documented event of Tonya’s American rival, Nancy Kerrigan, being attacked with a baton prior to the 1994 Olympics puts the blame on Tonya’s ex-husband and his friend, Shawn Eckhardt for the attack. Both were sentenced, however, they claimed that Tonya knew of the plan. After the Olympics where she comes in eighth place, Tonya is subsequently banned for life from competitive figure skating. While being a sad, depressing story, Tonya’s life does not end there. She continues on to competitive boxing and racecar driving, welding and painting. She never gives up on life. After another failed marriage, she finally settles with her third and current husband, Joseph Price with whom she has a son. As in Three Billboards, transcendence comes through suffering. Grace is revealed through violence. These films show us the power of transcendence in cinema. What is transcendence? It is something beyond normal human experience and takes us beyond to another realm—a spiritual realm. Film has the power of transforming us from within by involving us in a visual, emotional and spiritual experience. It is in sounds, images and stories that we find deeper meaning for our existence and how God works in the world. It is by grappling with what it means to be human that we often come to an awareness of the Divine. Through the medium of film we discover theological themes such as evil, violence, grace, temptation, sin, forgiveness and communion. Even within the genres of horror, science fiction and fantasy we can enter into the darkness of humanity to come back out into the light of grace. John Paul II speaks of this in his Letter to Artists when he writes, “Even when they explore the darkest depths of the soul or the most unsettling aspects of evil, artists give voice in a way to the universal desire for redemption (no. 10).” De Profundis films, as Fr. Peter Malone, international film critic, calls them, search the depths of human sinfulness to convey the need for redemption. De Profundis is from the opening lines of Psalm 130, Out of the depths I cry to you, O Lord, Lord hear my voice! Expanding our understanding of the rational to include imagination can often help humanity cope with the tragic and unexplainable circumstances of life. Both Three Billboards and I, Tonya are all about the tragic and unexplainable. Both films delve deep into human sinfulness to grapple with the possibility of grace, to see how redemption is possible even when darkness seems impenetrable. The world of cinema can lead us to know ourselves more profoundly and so realize the humanity that gives God glory. Film often addresses the lights and shadows within the human person sometimes offering hope that darkness does not have the last word, showing the good still present in humanity despite the evil that terrorizes humanity. God’s grace is continually at work bringing humanity out of the darkness into the light of God’s embrace. Many films seek to address the heart-wrenching and aching emotional pains of human living. Most of these have to do with relationships that can bring us the greatest joy and the deepest sorrow. We are called to be in communion with God, others, and ourselves and yet this is often our waterloo as human beings. Dixon in Three Billboards becomes so entrenched in his fear that he becomes antagonistic and violent. 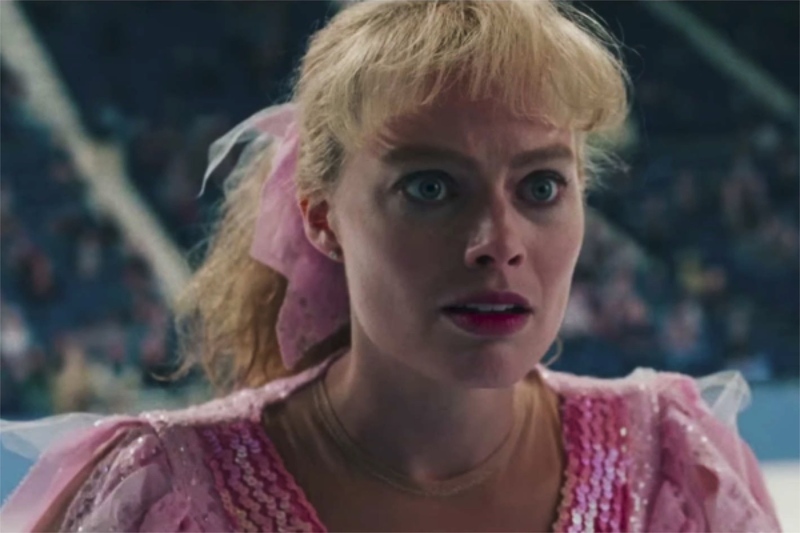 LaVona in I, Tonya is a grasping, greedy mother seeking fame through her daughter. She takes advantage of this relationship instead of nurturing and selflessly supporting Tonya. As a culture, we prize individualism, that is, taking care of ourselves, seeking our good, doing what we want, making sure we are happy. In contrast, true life comes only when we give ourselves in love to others, when we give love away—freely and unconditionally. Our sorrow and pain come from relationships when we hold onto our selfishness, pride, and fear to engage in the risky business of humble, self-giving love. We are social beings and so seek connection, intimacy, and union. The transcendent moments of these two films come at the end when they present a modicum of hope. 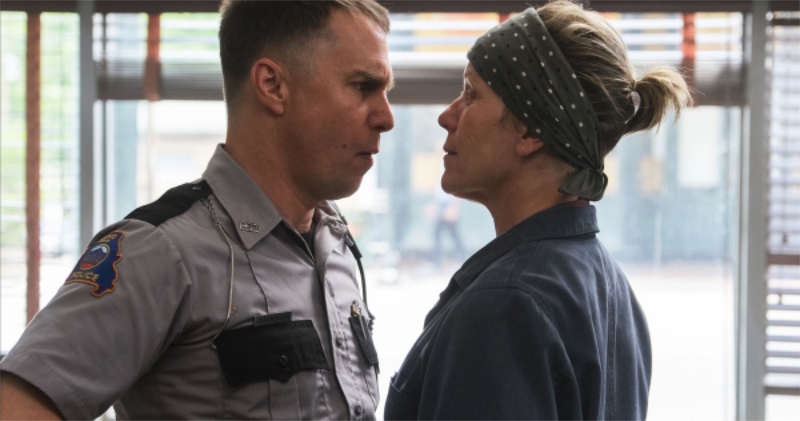 Mildred with Dixon in Three Billboards are driving to find the suspected killer but the film leaves us wondering what they will actually do. They continue on their journey with perhaps more doubt and even consider acting with mercy. The grace is that sense of humanity that has been returned to both of them. They have both experienced transcendence. Tonya Harding, too, even though she was banned from competitive figure skating found redemption in removing herself from the situations and persons who oppressed her. Her hard life never caused her to give up. She only kept moving forward with a little more hope and perspective, and, through the telling narrative of this film, maybe with a little more redemption in the eyes of the world.